STUDY, TUITION & PRACTICE in the Tranquil Martial Art of Tai Chi with Keith Robertson. Keith is the Proprietor, and Founder of Mountain River Tai Chi. The club is affiliated with the British Council for Chinese Martial Arts (BCCMA) and Keith holds indemnity insurance to the tune of £5,000,000.00. 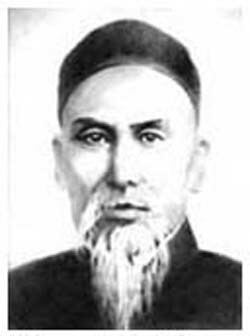 The highly respected martial Art famed by the Yang (Yeung) family who decided to share their knowledge and skills to help build up the strength and health of fellow man. This tranquil martial Art with the Taoist philosophy of yin & yang has been intertwined into a Kung Fu system to become the Tai Chi available today. The principals promote that naturally everything returns to it’s origin. Thus, the martial side should not be forgotten; and serious practitioners, should seek qualified tuition. Training not to hurt others but rather to further stretch the body and intellect. Tai Chi can provide bestirred people with an excellent vehicle for self cultivation. To allow us to reacquire these latent skills, we are simply asked to follow their path. Whilst this sounds easy, it requires both diligence and patience. 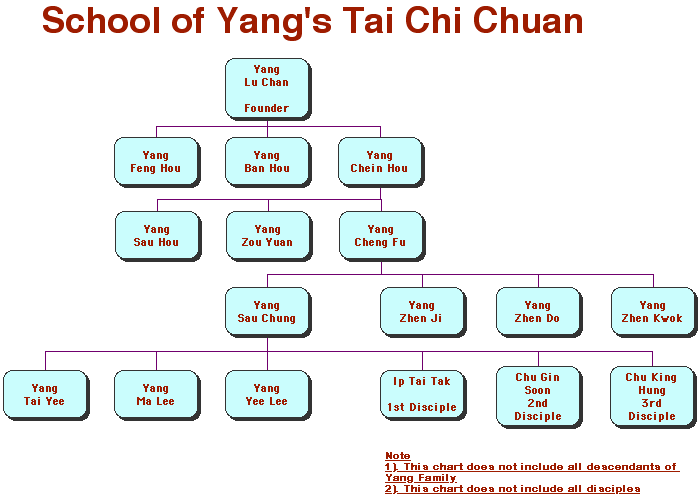 The Yeung Family have demonstrated over centuries their skill or Kung Fu (an equation of time over effort). They are renowned for their fighting skills and world famous for sharing Tai Chi with us. So we can train in the assurance that our time will not be wasted. Tai Chi tuition is available at many locations, and it is important that you feel you have found the right class. It is suggested that you trawl the internet and visit several teachers. Some offer introductory classes, most allow you to watch. Although one session may not be a good guide and you should be prepared to commit to a month or more. As in everything in life quality in means quality out. Do not expect to find high level Tai Chi at the gym nor Adult Education centre, but you may be lucky. You can expect to be non invasively realigned by the teacher, and in most classes that will be the only contact for a long while. Some offer the more martial side early on, and you should be aware and possibly wary of this. One doesn't start to make an omelette without first acquiring some eggs. You should decide on your own practice level. Most classes are for 1 to 1.5 hours and you will not get very far if you don’t practice between your weekly class. Mastery is beyond most peoples grasp, we all lead busy lives. However this should, in my opinion, be seen as a positive statement. From observations of myself and fellow practitioners, I believe that everyone can gain from doing Tai Chi regardless of ability. That should not be interpreted as just turning up once a week will do the trick. Rather the gains accumulate the more you practice. Little practice small yield, more practice equates to larger rewards. There are often no formal awards, just the inner knowledge that on reflection we are better than we were. Belts, certificates as well as competitions do not sit well with Tai Chi, some schools and associations use them. However as far as I am concerned, Tai Chi is a microcosm of adult life and once we leave formal education, it is down to us and our efforts generally go without any prizes. When was the last time you were praised? Was it at your annual appraisal? Did your partner, friends tell you how great you are in the last week! Chi Kung is an important element in Chinese Martial Arts, which has recently been separated from them to become a program on it’s own. Chi Kung and other training is integrally within Tai Chi, we just don’t talk about it, but train how to do it. Westerners often just want to know how and why, so they can just tick the box and move on. I often say, I do not care how or why a phone works, as long as I am empowered to use it, I can live in ignorance of it’s engineering. The is no belt system in Tai Chi, doing one’s best is all that is asked. Some students find that individual daily practice becomes an achievable goal, whilst others enjoy only their once a week sessions. As with anything in life, the more you put in the more you will gain. Whatever amount of training you do, will produce a level of skill. Likewise how far along the training path you wish to travel, will dictate what you can achieve. The Chinese have a term for this equation of time over effort equalling skill level. It is called Kung Fu. So with perseverance and dedication it is possible to learn the Yang Family’s Kung Fu.